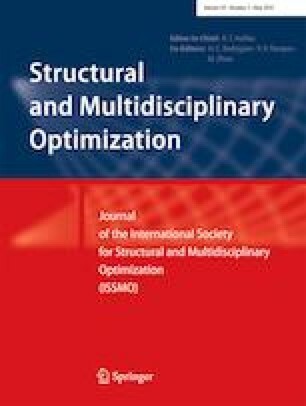 Recent studies on design optimization of steel frames considering soil-structure interaction have focused on static loading scenarios, and limited work has been conducted to address the design optimization under dynamic soil-structure interaction. In the present work, first, a platform is developed to perform optimization of steel frames under seismic loading considering dynamic soil-structure interaction (SSI) in order to quantify the effects of earthquake records on the optimum design. Next, verification of the adopted modeling technique is conducted using comparison of the results with the reference solution counterparts in frequency domain. For time history analyses, records from past events are selected and scaled to a target spectrum using simple scaling approach as well as spectrum matching technique. For sizing of the steel frames, a recently developed metaheuristic optimization algorithm, namely exponential big bang-big crunch optimization method, is employed. To alleviate the computational burden of the optimization process, the metaheuristic algorithm is integrated with the so-called upper bound strategy. Effects of factors such as the building height, presence of soil domain, and the utilized ground motion scaling technique are investigated and discussed. The numerical results obtained based on 5- and 10-story steel braced frame dual systems reveal that, although dynamic SSI reduced the seismic demands to some extent, given the final design pertains to different load combinations, the optimum weight difference is not considerable. The authors would like to thank Mr. Sina Kazemzadeh Azad for his helpful comments on this work. Springer Nature remains neutral with regard to jurisdictional claims in published mapsand institutional affiliations.